Last year, I walked into the tail end of a network infrastructure upgrade. It was the standard fair for school districts in my part of the country. Cisco 3750X switch stacks everywhere. I always felt going with a full layer 3 enterprise class switch in building IDFs was a bit of overkill for schools. Really, only the MDF needs to be layer 3. In a simple (and elegant) school campus network design, the rest of the switches on campus only need to be layer 2. But, we were almost done with the upgrade and at that point there didn’t seem to be a reason to think too hard about what we were putting in or why. Fast forward to a few months ago and we started seriously looking at going 10Gb on the LAN backbone. The main reason was to keep pace with the aggregation of 1Gb wireless access points. We’ve installed 1 AP per classroom, which now have the potential to drive upwards of 6-10Gbs of backbone traffic per building. We started off with Cisco 4500X 10Gb core switches to support our 10Gb fiber WAN. With those in place, we considered installing 10Gb modules and GBICs in the existing 3750X stacks, however, we also realized that we wanted more port density and POE capacity in our IDFs. After taking all of these issues into account, we decided to take a step back and look at options. Around the same time, we were having issues with our existing wireless solution. As part of working towards a resolution to those issues, we initiated a trial of Meraki wireless access points and just happened to check the boxes for the switches too. I had familiarity with the Meraki UI and the amazing visibility Meraki access points provided into the wireless network from my last district. I was interested to see if we could get the same benefits on the wired network from their switches. So, we plugged a Meraki MS320 into the top of an existing IDF 3750X stack to find out. Immediately, we started to see the dashboard populating with client and traffic information from that school. Our Meraki support engineer had to tweak our settings to prevent VLAN interfaces from reporting aggregate client traffic, but after that, it was very powerful stuff for us. Having been basically blind to what was going on with the network before that, seeing the traffic flowing in real time was very impressive. Just to see what would happen, we briefly ran a Meraki switch between our district core switch and the hosted firewall at the county office. Lo and behold, we saw all our district traffic populating in the dashboard. Yes, we could see all that traffic in the Palo Alto Network firewall but really, the Meraki dashboard UI is so much faster and easier to use (although the latest update to the navigation menus is taking some of us a bit to get used to). After our testing, we made the decision to go with Meraki for our 10Gb LAN upgrade (and wireless too, but that is another story). It’s not all perfect. We’re going to have to give up EIGRP in favor of static routes, but really, we don’t have that many routes to contend with. We have a class B for each school site. Also, Merkai doesn’t have a 10Gb capable layer 2 switch, so we’ve had to go layer 3 for the IDFs. And because the MS320 won’t stack with the 3750X, we’re doing old school patch cables into the existing stacks. With the majority of our traffic being wireless and all of the wireless access points connecting directly to the Meraki switches, I’m not too worried about the 1Gb uplink capacity to the existing stack. Printers and AppleTVs are the primary users on the wired network and we can always add another uplink port if need be. “Real” Network Admins give Meraki a hard time for their simple UI and lack of direct console access. I on the other hand welcome it. In the old days, you had to be a magician (aka, trained network admin) to work magic at the command line. Over the years, more and more tasks have been made accessible through graphical user interfaces (GUIs). In my opinion, Meraki has perfected the network admin GUI. In a world of limited staff and jack-of-all trade skill sets with exponential demands for technology, simple and effective is a good thing. I’ve often argued that the majority of school networks should not require a complex understanding of network topology, esoteric routing protocols or advanced sub-netting. A simple Star topology with a few key subnets and you should be good to go. Would I recommend this strategy for LAUSD or SFUSD? Probably not. But for a district our size, with 10 sites, it makes perfect sense. We’re on our way with our top of stack 10Gb Meraki LAN upgrade. What’s your 10Gb LAN strategy? So essentially it’s a glorified NetFlow collector that stops working when you don’t cough up your yearly licensing. No thanks! SmartNet is a yearly license, so not much different from a Meraki license really. The Meraki stack is so easy to manage, it makes network engineers that like to setup NetFlow basically obsolete. But I get what you are saying. I was reminded what rain is this week at ISTE. 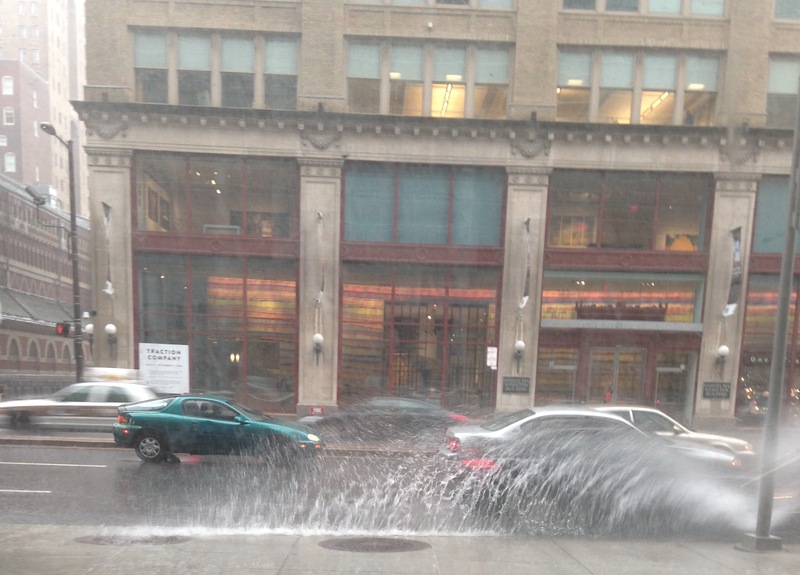 Visiting Pennsylvania from drought stricken California, I had forgotten that rain can go horizontal. Even when it rains in California, it generally doesn’t defy gravity to whip underneath umbrellas like it did here in Philadelphia this week. In driving to and from the airport, I was also reminded that droughts are regional. There is an abundance of water, it’s just not evenly distributed! Speaking of evenly distributed, Philadelphia is the birthplace of our nation and as such it is steeped in rich history that I’ve had the good fortune to visit during conference downtime this week. Historical sites like Old Town are also not evenly distributed. As I was walking through Independence Hall contemplating the formation of the United States in a stuffy, hot, impossibly small room for the birthing of a nation, I wondered how many Americans will every get to see this place? I mean, it’s kind of historically important, right? I bet school kids in Philly get to visit it. Which got me thinking, how cool would it be for students around the US to connect with students in Philadelphia to discuss the founding our our Nation? Technology makes this kind of connecting stupid easy. Flat Connections, Global Read Aloud, One World Classroom and Skype in the Classroom are communities built around connecting classrooms to one another. Connections should be woven into as many curriculum maps, projects and learning outcomes as possible. It is 2015. No more pictures of the Liberty Bell in a book. Live Skype with a class or a park ranger at the Liberty Bell! Enter PORTS, ubiquitous bandwidth and Virtual Reality. In California we have a virtual field-trip program run by the state parks called PORTS. I know there are other organizations doing similar things across the world. Several classrooms in my district have experienced these virtual field trips. Requiring only an iPad or laptop with a video camera, decent bandwidth and a teacher willing to give it a go, the technical barrier to entry for this is effectively zero. Usually consisting of a live facilitator and a multimedia presentation, I see these types of “presentations” as very early days for this technology in education. With the ability to stream live video via LTE, experiencing the actual historical site doesn’t need to be dependent on a recorded video or a canned slide show. Visits can be live, dynamic and interactive. 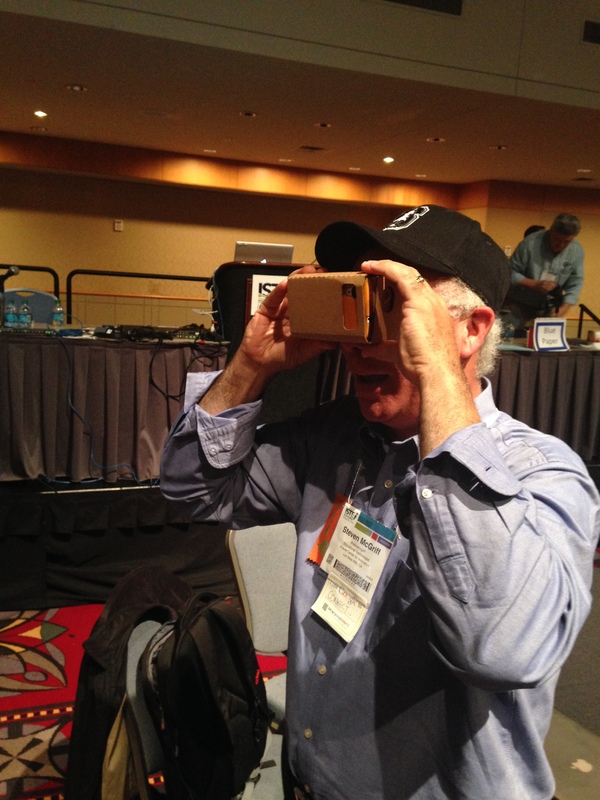 Additionally, Virtual Reality like Google Cardboard, which was on the exhibit floor at ISTE this week, can be added to extend the learning experience either before, after or during a live video stream. Telepresence is an untapped technology for Museums and historical sites to connect classrooms to their experiences. With something like Double Robotics, organizations could offer virtual tours of existing physical spaces, without having to program unique “online” experiences. 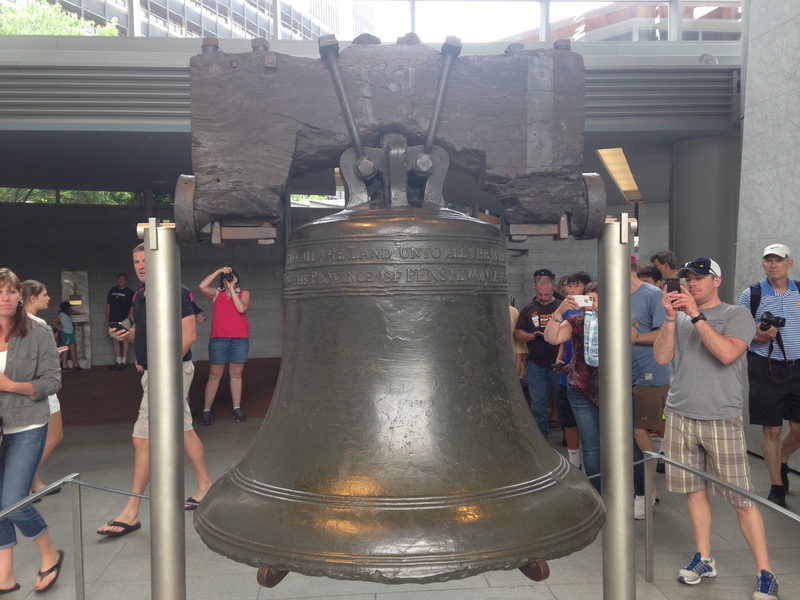 In other words, the Liberty Bell could be accessible to any classroom today if we wanted it to be. Technology is changing our world. We can choose to actively shape that change or we can let the change shape us. Embracing technology in education is an imperative, not for technology’s sake but for the sake of learning. We learn through experiences, technology can connect us to those experiences.